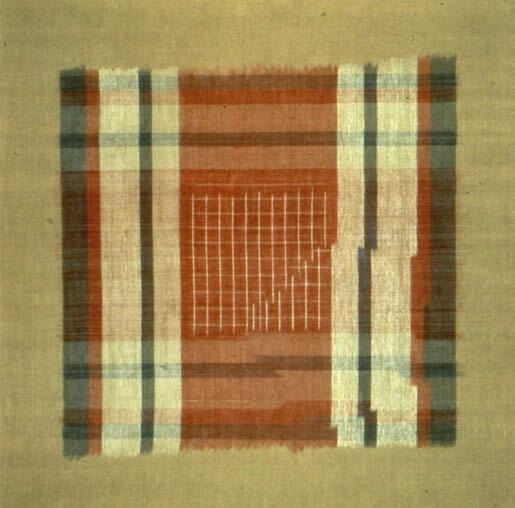 Lincoln, Nebraska was host to the original Transformed Traditions in Ikat, an exhibit held in conjunction with the Textile Society of America’s Biennial Symposium 2010. 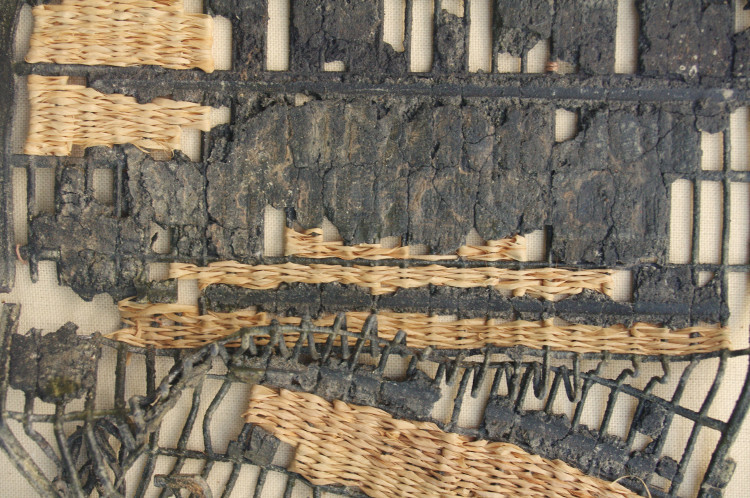 The exhibit brought together four fiber artists, Polly Barton, Virginia Davis, Wendy Weiss, and Mary Zicafoose, who use non-traditional, contemporary interpretations of the traditional technique of ikat in their work. 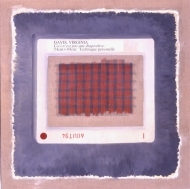 Wendy Weiss’s work was not available for this online version of the exhibit, but we were fortunate to be able to add Irvin Trujillo to this roster of distinguished professional artists. 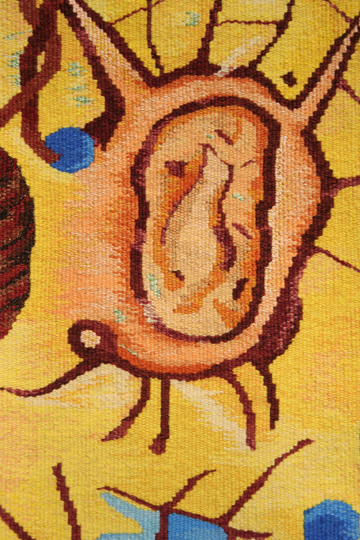 Each of these artists had their own path to the discovery of ikat. 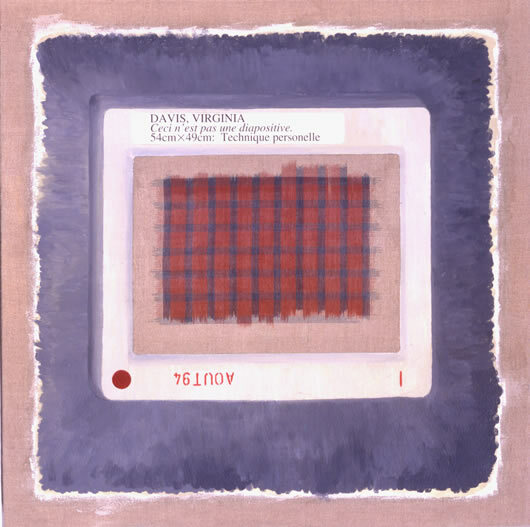 Virginia was influenced by textiles in Mexico, Irvin by India, and Polly by Japan, and each has their own reason for using it in their work, even, as Mary does, using the very process of ikat as metaphor. 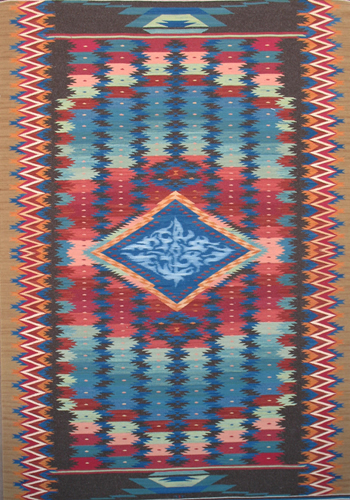 Some of their work is plain weave and some is weft faced (as is traditional tapestry) but in every case, the use of ikat adds complexity and excitement to the pieces. So what is ikat? Ikat weaving is a global tradition that dates back to at least pre-Columbian times and is still found in the Americas, Asia, and Africa. 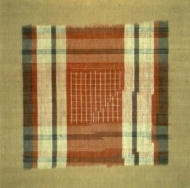 The word “ikat” means to tie or bind in Maylay. In ikat weaving, the warp and/or weft threads are bound off and dyed with careful precision before weaving, thus creating designs on the finished fabric. 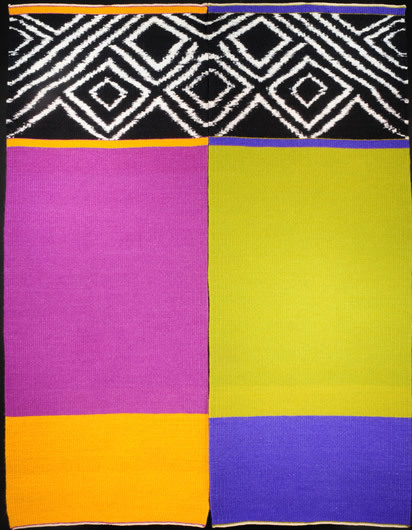 Traditionally the fabric was woven on back strap and other primitive looms but these contemporary weavers use large floor looms. The pieces in this exhibit span a wide range of possibilities. 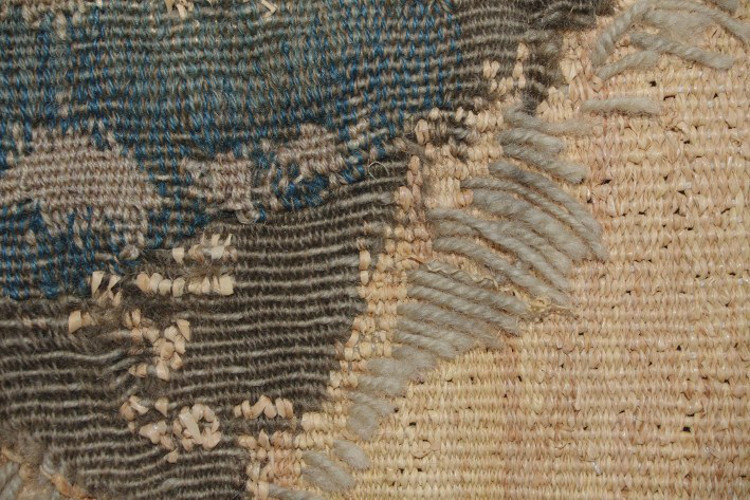 Mary and Irvin produce large weft faced pieces. 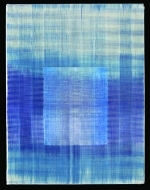 Mary’s are elegantly vibrant, with large areas of pure color. 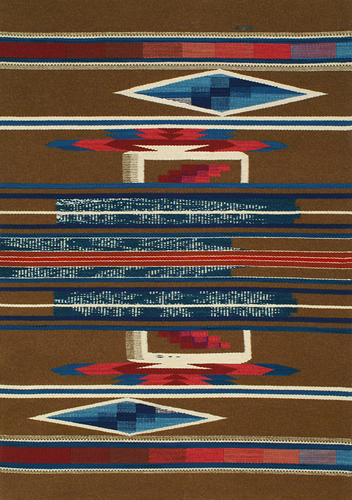 Irvin is a traditional Southwest weaver, following generations of his family making intricate work on a two harness loom. Virginia and Polly work in plain weave, using ikat in both warp and weft. 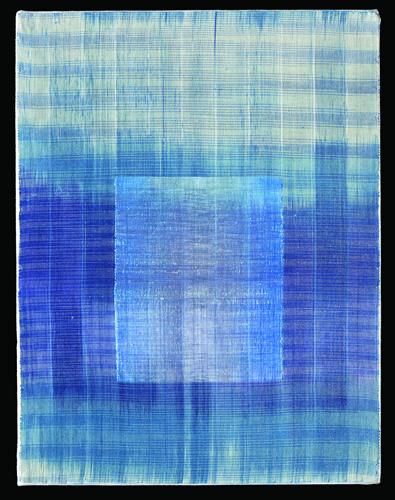 Polly’s work in silk is captivating, rich and fluid while linen canvas is an important component of Virginia’s body of work. You’ll want to follow the website links to look further at all of their work. My own introduction to ikat woven fabrics came from Peace Corps volunteers who brought fabric back from Guatemala in the early 70s. Lydia van Gelder taught me how to do warp ikat, and twenty-five years later, in a conference workshop, Mary Zicafoose explained how her weft ikat magic unfolds. It’s a labor intensive, but captivating process. 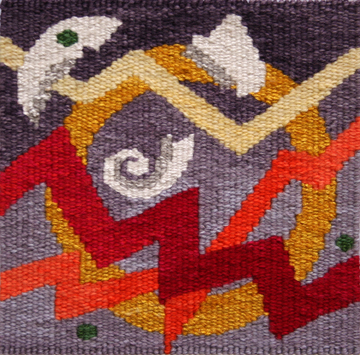 I’ve woven some small pieces combining ikat dyed weft areas with traditional tapestry and wedge weave areas. I hope you find the words and the work of these artists as inspirational as I do! Merna Strauch is a tapestry weaver in Pacific Palisades, California, not far from the western edge of the North American continent. 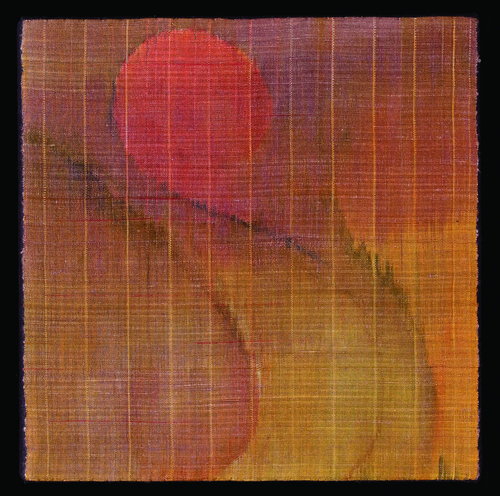 Lately she’s been exploring edges and boundaries in her tapestries.